I am a wife, a mother, and a baby stuff lover. I try to be eco friendly and green. I focus on healthy products to help improve our everyday lives. Before I had Bunny, and when I was pregnant with her, I was adamant we would NOT co sleep! What is co sleeping? 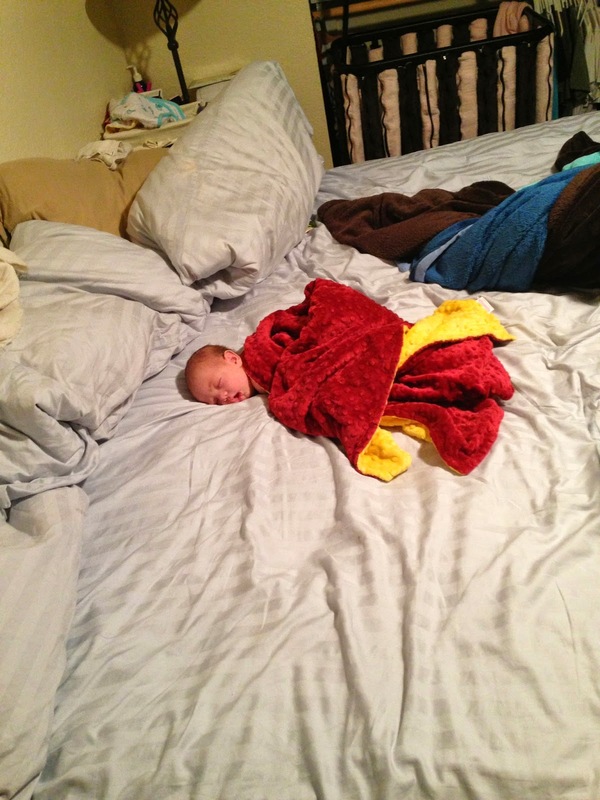 Co sleeping is when you sleep in close proximity to your infant or child. When you sleep in the same bed as your infant or child, it is often called bed sharing instead of co sleeping. I told My Love that would NEVER happen to us! Babies don’t belong in the bed with us! That is our special place, our safe haven from the world where we can talk and laugh and be alone. I would never be the mom that co slept! EVER! Then Bunny was born. Three weeks early. She was breech, my water broke at 37 weeks exactly, and Bunny was born via a non emergent, non planned c-section. Because she was born early I felt I needed to recreate the womb as much as I possibly could. I held her skin to skin as much as I could. Even at night. Bunny slept on my or My Love’s chest for the first 6 weeks of her life. My Love and I slept in our bed, so Bunny slept in our bed, on our chests. I did what I said I would never do, co sleep. I couldn’t imagine putting Bunny in her own room, much less her own bed in her own room! When Bunny was about 6 weeks old, she started sleeping on our bed instead of on our chest. We have a king size bed so there was enough space. It was magical for night feedings! When Bunny woke up to nurse, I would change her diaper then lay down and nurse her back to sleep. I would fall asleep with her. I got so much rest! I didn’t have to get up and go into another room, didn’t have to sit up, awake, while she nursed! I could fall asleep with her. It was wonderful! We peacefully co slept until Bunny was five months old. At around five months, Bunny started moving in her sleep more. Because she was moving so much, we needed her to have her own space. We decided to use a crib side car style. It is an extension of your bed. It worked out wonderfully! We still have the crib next to our bed and everyone gets a decent nights sleep! There are a few “safety” concerns, soft objects blocking baby’s airway, baby not being able to roll over or move his/her face out of the mattress, mom or dad rolling on baby in the middle of the night. We addressed those by not having a comforter on our bed, only using a light blanket, Bunny wasn’t allowed to sleep on her tummy at night until she learned to roll over by herself, My Love and I never take any medication that impairs our thinking or motor skills or drink alcohol. When you are sleeping with your baby, you are hyper aware of them and their every move. I could feel Bunny breathing all night long. I was NEVER in danger of rolling on her or suffocating her. 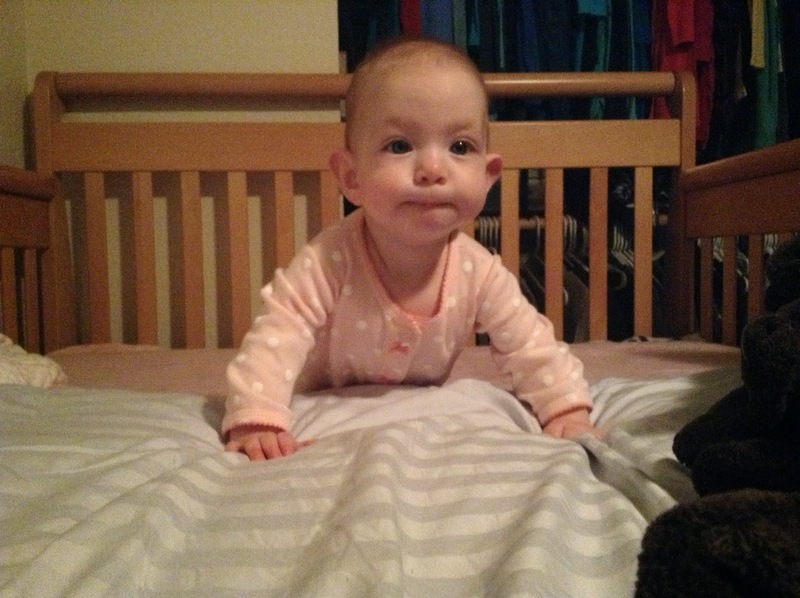 In fact, when we moved her to the crib that is side car style next to our bed, I did not sleep well for the first few nights. I was so used to feeling her next to me, feeling her breathing, it was odd not to be able to know she was breathing without staring at her in the dark. 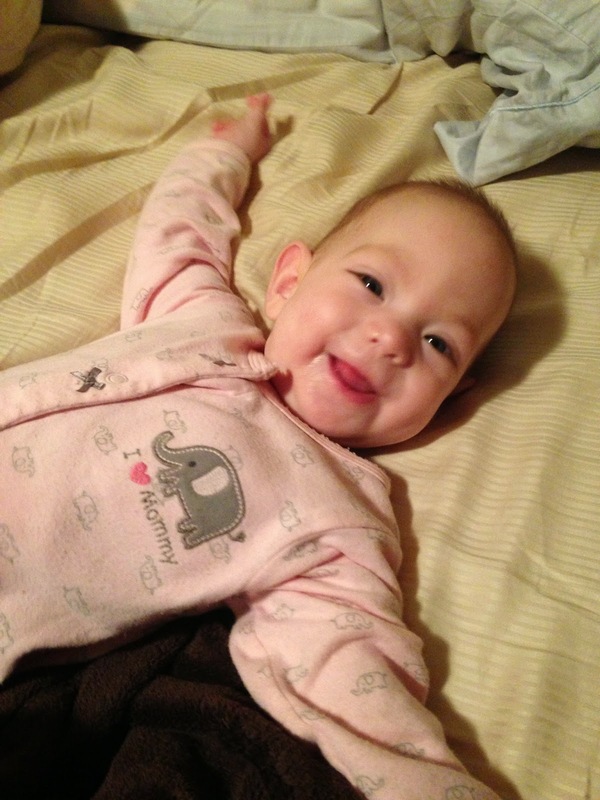 Here are some facts about co sleeping and bed sharing from kellymom. 11 steps on how to safely co sleep with your baby can be a helpful article. Dr. Sears has done extensive research on co sleeping and its benefits. Who doesn’t want to wake up to a smiling baby face every morning? !